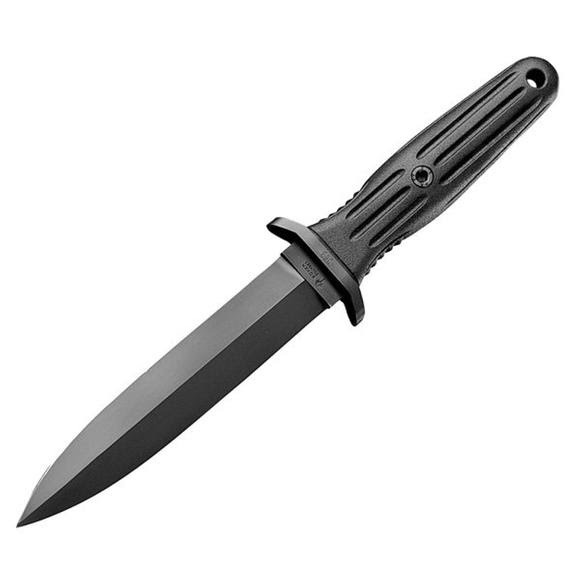 Have the knife that can do it all with Boker's Applegate Black Fixed Blade. The Applegate is designed with durable 440C stainless steel along with double-conical dagger grinding on both sides of the blade. Have the knife that can do it all with Boker&apos;s Applegate Black Fixed Blade. The Applegate is designed with durable 440C stainless steel along with double-conical dagger grinding on both sides of the blade.